On Saturday, me, MrJ and his parents trotted off bright and early to Alnwick Food Festival! 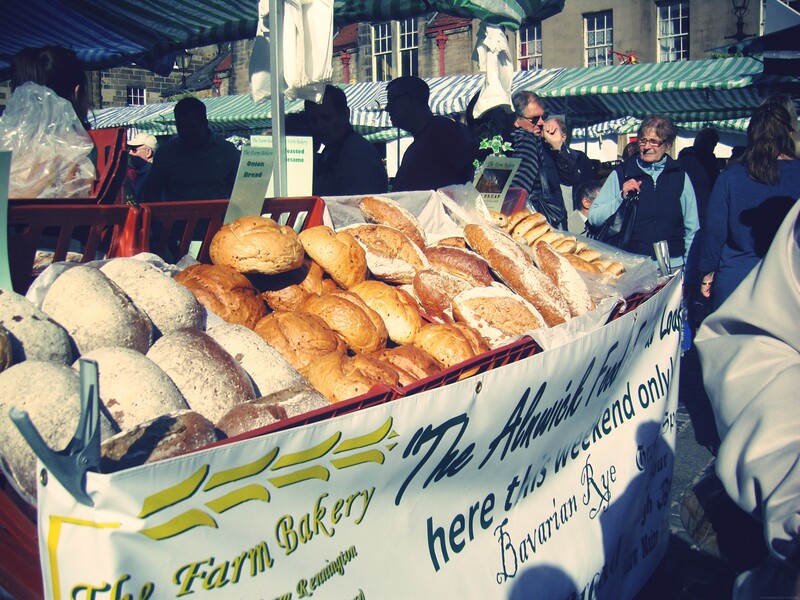 MrJ’s folks love food markets and with over 50+ stalls of local produce available at Alnwick, we knew we were in for a food-filled day! The weather was fantastic, but cold. 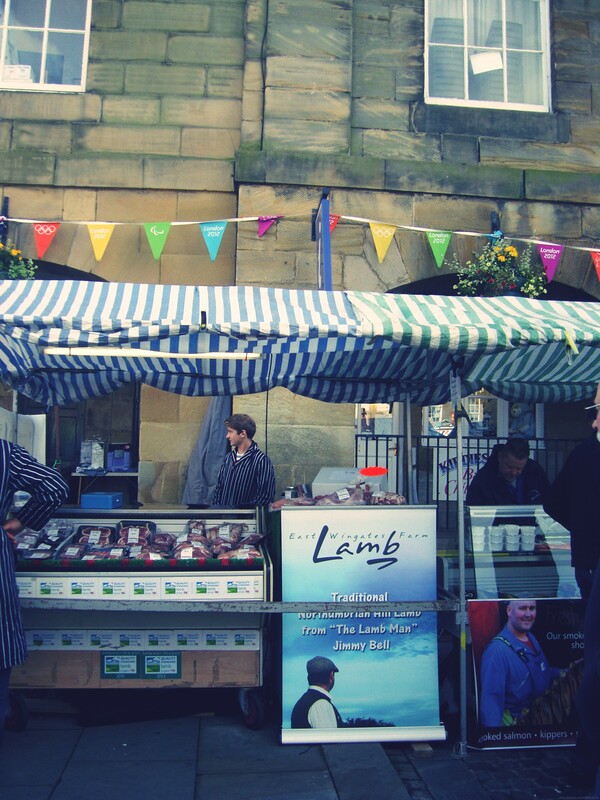 Bright blue skies were the perfect condition for market day, and as we walked to the market place in the town hall we were greeted with an Alnwick Food Festival programme detailing all the stalls products and what to expect from the day. As soon as we arrived we bumped into Jean-Christophe Novelli taking pictures with members of the public! We tasted all the samples from all the stalls. (MrJ and his dad sampled hot chilli sauces that knocked their socks off!) Chatted with the stall owners and watched demonstrations. After we had walked around all the stalls, we went round again, this time picking up delicious goods for our fridges and freezers, as well as recycling tips on managing food waste! MrJ and I got pies from the New Zealand Gourmet Pie Co after sampling their hot pieces of pie, as well as two packs of sausages from Northumberland Sausage Co. They had so many interesting flavours of sausage – including one that had dark chocolate! We settled on red onion and marmalade sausages, and oak-smoked cheese with black pepper sausages. We’ll be dining well this week! MrJ even had a cheeky hog roast sandwich at lunch time with lots and lots of crackling! The in-laws were laden down with heavy bags – they had bought huge carrots, renaissance pie, fresh fish, sausages, lamb and lots, lots more! We all had to go back to the car after a couple of hours into the day just to unload all our shopping bags! My biggest regret – not buying a nutella brownie from The Brownie Bar. I looked up their website and saw that they provide brownies at the bakery in Fenwick Food Hall. I will be definitely popping in their this week! After we had stuffed ourselves silly with the sight of food, we popped across to Barter Books – my favourite place on earth. I could sit in their plump armchairs by the fire with a book in my hand forever. I bought two books – The Phantom of the Opera and The Hundred-Foot Journey. I was so worn out from the trip, I fell asleep in the car on the way home! A great day out was had by all. Next time Alnwick have a food festival we will definitely be there!